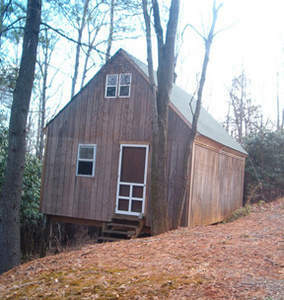 Here is a hunting cabin nestled in the woods on Bull Mountain. It has 7+/- acres of land. The land has been perked for well, septic and electricity is close by. Very private. A great place for weekend adventures.